To appeal to Japanese players, the Chinese-developed smartphone game Daikoukai Utopia Golden Age Voyage is getting new character art. According to the game’s official Twitter, the character art is going to be switched out for designs mostly by the Japanese illustrator known as Cheese Pan (Cheese Bread). Forty characters already have new illustrations. The game’s official site added that there are still characters who have yet to get makeovers and it will take a little longer to switch them all out. 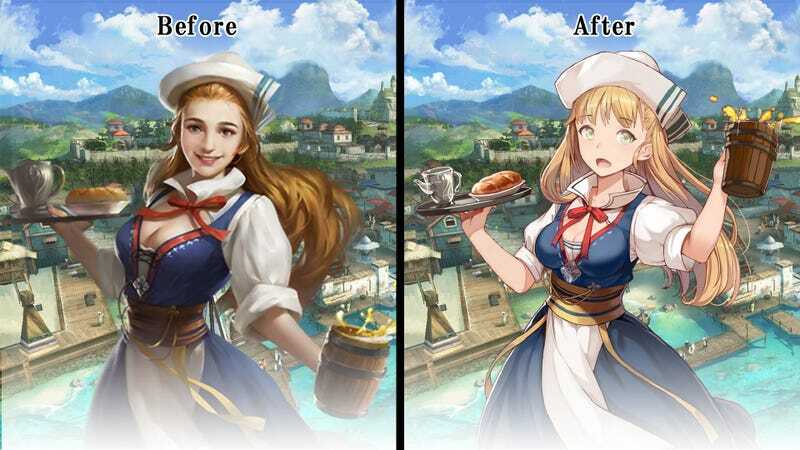 Interestingly, some players in Japan complained about the change and said they preferred the original art. According to the game’s official Twitter, players will be able to select between both art styles.